Every now and then when a person dies, people just seem to know that Heaven is fuller. Pastor Wally Fus is closer to Jesus now. And that says a lot because they were already pretty close. I know we're not supposed to "judge" someone's salvation and eternal destiny… but sometimes you just know when someone was good friends with Jesus. My heart cries out for Shirley today. Shirley, your husband was a dear man and I know you will miss him. When you and Wally joined us for our Young Marrieds retreat in Canmore, your example of a godly couple in love was a pivotal moment for many of our younger couples. I have prayed many times that my relationship with Kathy will be as challenging and fresh and cute through the years as the one you had with Wally. Wally and I began working together at Brentview the same week. What a special privilege that was for Jesus to give me. I am thankful for the years that Wally and I met with people as they received Jesus into their lives. I will forever remember the moments of bedside ministry as we sat and prayed and held hands with people in their final hours. I am thankful for our many moments of prayer and laughter and wrestling as we sought to pursue Jesus in ministry. I will miss Wally's encouragement… very much miss it. And strangely, I'm a bit suprised this morning to actually be grieving the quirky way Wally approached our church staff meetings… and that speaks to Wally's impact upon me… because I never thought I would ever miss a staff meeting. And perhaps most of all, I will miss Wally's overflowing well of passion to see people know Jesus— There just aren't enough people like that anymore. Wally genuinely, heartfully, cared for others because he so deeply cared for Jesus. Into Your hands is Wally's spirit committed, Lord. And Jesus, many of us look forward to the day when we will be privileged to see Your servant Wally in Your humble glory. Amen. Thank you, Marlo, for these moving words. Wally spoke often and very richly about his time at Grace. He loved the people there… He loved people quite easily. Thank you so much for your comments! Thank you for the comment, Carol. So glad that God allowed Wally and Shirley to impact so many people. Your words speak volumes to their life of integrity and character. May the Lord bless you too! I was saddened to hear of Wally’s leaving here, but joyous knowing that He is with our Lord and Savior Jesus. Wally was such a wonderful brother and friend. My time at Grace was enriched by him. Any job or assignment that he took, I knew that he would take care of it wonderfully. And Wally was such a wonderful encourager. He was a blessing to know and he will be missed greatly by all. That was a very moving tribute to a very wonderful man! 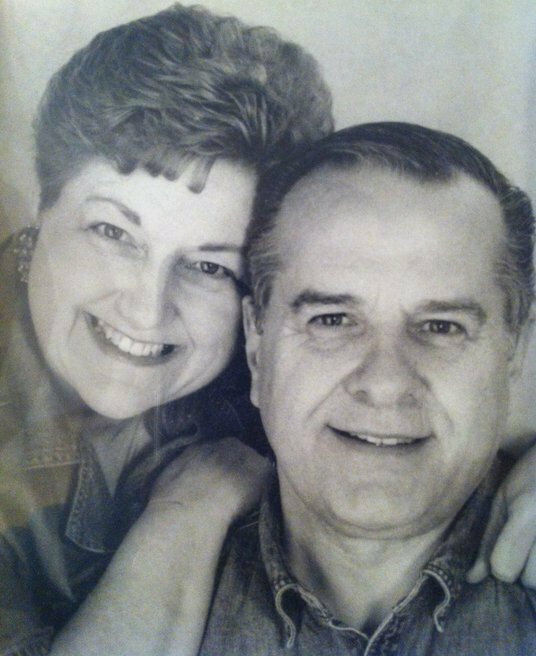 I had the privilege of knowing this great couple all of my adult life and they set a great example for all who knew them. I thank God for allowing me to be a small part of their life and I look forward to seeing Wally again. God bless you! Thank you so very much, Tim. I don’t think we ever had the privilege of meeting… but Wally spoke of you all the time. Blessings to you and your family. I am so very thankful for your Dad’s encouragement in my life. Praying for you! Hey Ken! Don’t know that I have ever met you. If I have, I apologize! 🙂 Let me say this, though…..YOU ARE BIG TIME!!!! Thank you for writing this! Very nice tribute to Dad. He was a great man who will be sorely missed. He made a major impact for the Kingdom that is far reaching. Glad you got to know him. Thanks again Brother! I so much appreciated Pastor Wally’s heart for intergenerational ministry and relationship building between the seniors and campus students. He had such a heart for mentorship and seeing the next generation building strong relationships with Jesus. I believe that we are moving forward with that vision at Brentview and I hope we can honour Pastor Wally’s legacy in that. Thank you for this caring tribute, Michelle! Wally was so thankful and passionate about the Griefshare ministry. Thank you for your part in that!! Marc and I will miss Wally terribly. He was such an encouragement to us with Griefshare but also in our personal life. He prayed for us when we were struggling through hard times in our marriage and hard times financially. He shared his faith like a child and always had a heart for those who were hurting. He was young at heart and always reminded me of a big kid. We will miss you Wally but we know you are rejoicing in the present of your friend and Lord today and we are rejoicing with you and look forward to the day when we will see you again in paradise.